This wooden table has been stained with a green dye to tint and bring out the grains of the wood. 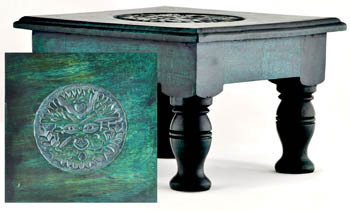 Emblazoned into the top surface is a circular representation of the Green Man. 5 1/2" tall by 8"